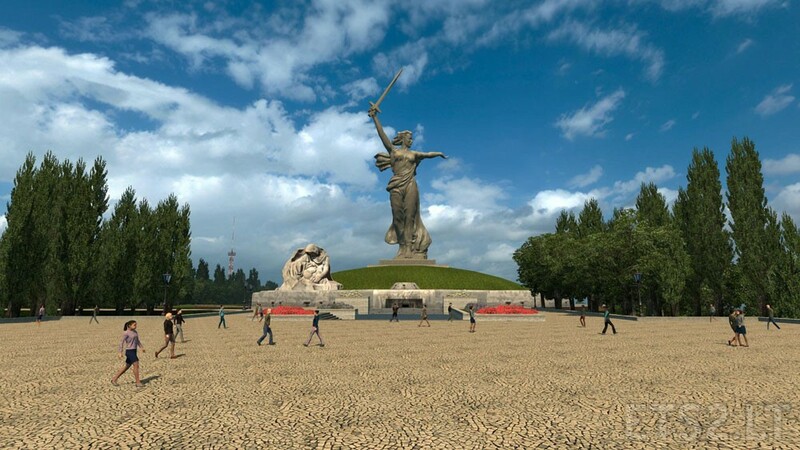 – New cities: Tambov, Borisoglebsk, Volgograd, Volzhskiy, Krasnoslobodsk. – Partially redesigned and rebuilt some of the cities and roads. 1. Downloaded files unzip archiver 7zip, click extract on the first file, then unpack everything. All 5 files should be downloaded and placed in the same folder. 2. Place all the unzipped files in the folder My Documents/Euro Truck Simulator 2/mod. Special thanks Gricko, for their help in the construction of maps, correcting all the mistakes and shortcomings, as well as for new objects that make the game atmospheric. Does it work with beta 1.26? With Promods and Balcania Project? Thanks! It works naturally with Balkan-Project. But you have to install like in the Description in RusMap ! A BIG Thanks for this update. I have old version of RusMap…can i just replace old for new or i must start new profile? Does this map works on TSM map? It works on V1.26.x beta ? How should i place the files in the manager if i’m using Promods..? Thanks for the update [email protected] RusMap and Promods are the best maps for ETS2. Keep up the good work. Wait, it NEEDS, or just supports the DLC’s? Just asking to be sure! To have this map you only need to download one part. Why is the World Map off-centered when i apply RusMap + Promods, the map is not correct, some roads are in water, the state borders are not correct with the road ??? any suggestions ??? Great very grand ! but works with southern region ? у меня у одного нет дороги между Польшей и Белоруссией с ProMods 2.11+RusMap 1.7? 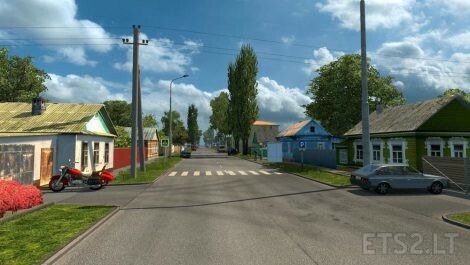 I have one there is no road between Poland and Belarus with ProMods 2.11 + RusMap 1.7? Maybee i can do here my order to work fine ? just to help, if you need, make in this order in Mod Manager with the Txt.files join in package (the best beginning it’s always a new profil, because it’s clear to launch game without mistakes). 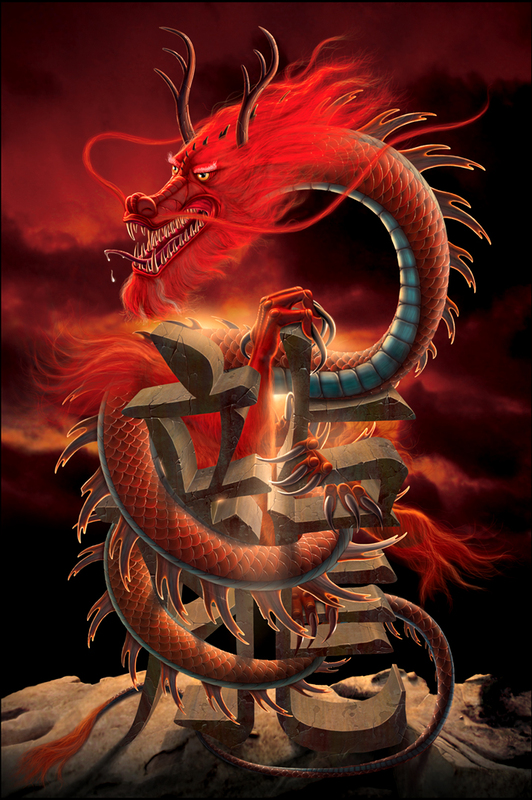 2_RedDragonMK….. You have a bad “promods-def” (i think) when you choice, in the first Download step, the Def File to play with RusMap… if you have a mistake in zoom map, so, you have the bad Promods-def, so, change it !!! i Report here a big big beautiful work all around the new zone/area of Volgograd !!!!!!!!!! PS: i play with 21 mods & no bug since 3 days … very nice !!! Have you complied with the order in mod manager? you play with Promods or without? Have you started again with a new profile? Вы выполнили заказ в mod manager? Вы играете с Promods или без? Вы снова начали с новым профилем? Thank you. 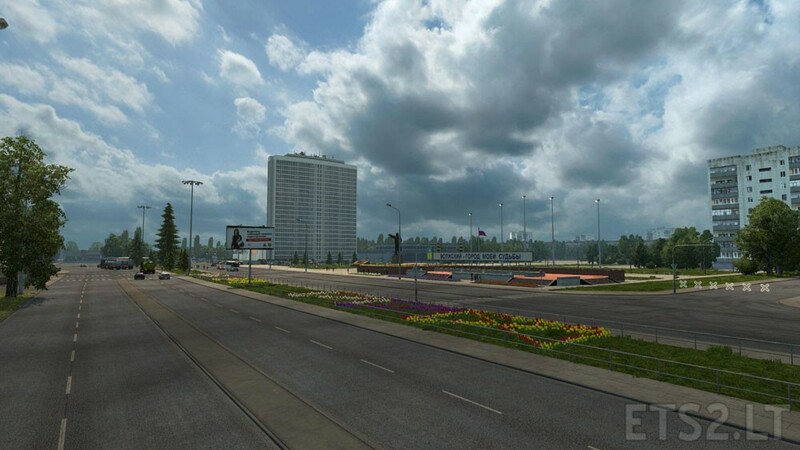 Promods+rus map+Project Balcans+Russian open spaces + egypt add on. Scania 141+Jazzy packs+Fred Be packs+others stand alone trailers. (i lost my Promods 1.25 game but this new RusMap work perfect without Promod when i was create a new profil… a good surprise so. No conflicts with the new “choice XP” delivery system (1.26 in Paris) ans the old system with RusMap.. all is ok to me !!! thankyou so much to the very hard work you have put into this. why is the files the same in all the five download files??? Moscow. St. Petersburg amd Minsk are masterpieces. A clear must-have. Terrific map. All files in the archives of the same ..
Is there a website where i can go and see if there will be an update for rusmap?. Dose rusmap have a website like promods? My game is crashing every time, when I arrive in Brest and some other citys. I tried it in many versions of the game (1.25.1, 1.25.2.5, 1.25.2.6, 1.25.3) but it does still not work. (Also I’ve tried many load orders I could find on the internet) Please help me someone!!! I don’t know what to do! Is rusmap+promods connector was replaced successfully in modules management ? You should also put it as first module (before all other rusmap and promods modules). Disclaimer: I didn’t check Brest connection after updating to RusMap 1.7 yet, but with 1.6.3 no problems were detected with Brest. Thanx for fixing Narva and re-worked M9 Highway in 1.7. Before that RusMap 1.6.3 just replaced Narva from ProMods and there were no longer garage in Narva. Спасибо за исправленную Нарву и дополненную М9. До этого RusMap 1.6.3 тупо затёр Нарву из ProMods вместе с гаражом. Hello. the Southern Region map where can i download it.